It is a truly stunning detail overlooked by most observers during the confirmation process of David Shulkin to become secretary of Veterans Affairs. The VA is going to hire a chief health informatics officer (CHIO) to lead the agency’s electronic health record strategy. CHIOs are often physicians, nurses with extensive IT training and experience, or longtime health industry professionals with specialized training. All of the attention right now is on Shulkin’s planned July 1 decision on whether to replace VA’s decades-old EHR platform known as the Veterans Health Information Systems Technology Architecture, or VistA, with a commercial system. But bringing in a CHIO signals a significant shift of approach at VA, which has historically relied upon either technology policy expertise (career civil servant Stephen Warren) or technology industry expertise (former Johnson & Johnson CIO LaVerne Council) to help guide its technology decisions. But under Shulkin—a board-certified physician who has held chief executive positions at major medical centers around the country—the biggest technology decision facing VA and its implementation will be guided not by a technology policy wonk or an industry technophile, but by a practicing physician, nurse, or IT professional with specialized health care training. This is the result of a long-overdue acknowledgement that reforming the massive VA health care technology infrastructure cannot be accomplished through the traditional CIO office. VA’s CIO office has its hands full spending 90 percent of its budget on legacy system maintenance (compared to 60 percent in the private sector). The idea of hiring a senior CHIO to lead strategic agencywide technology decisions is a clear message from Shulkin that technology and program management expertise alone cannot solve VA’s most pressing IT problems. A relatively new concept, the CHIO post is not unheard of in government. Karen DeSalvo, former National Coordinator for Health IT at the Department of Health and Human Services, created a new CHIO post in 2015. And the position is by no means new to VA—there are dozens of CHIOs employed at regional and local VA medical centers. And many of them are physicians. What qualifications must a CHIO have? Fully licensed physician or nurse informatics executive, or an individual with a master’s degree or higher in a health care-related field or health care administration relevant to this role. Nurse applicants must have a master’s degree or higher in a health care-related field or health care administration relevant to this role. 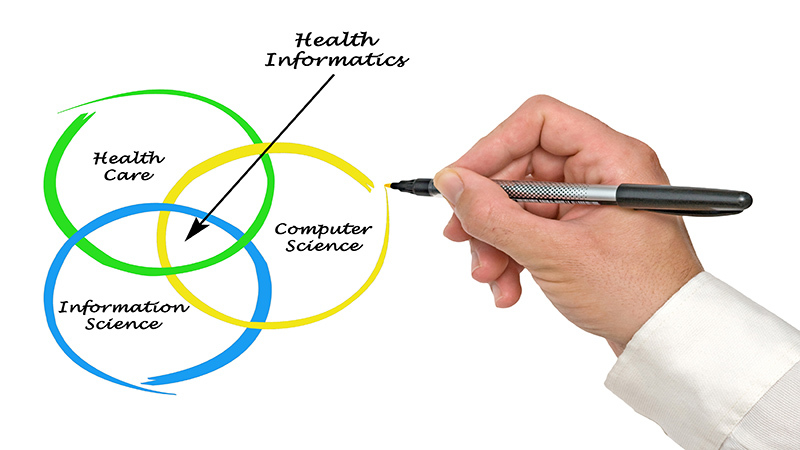 Degree, certification, fellowship or other formal training/academic courses in health informatics preferred. Leadership experience in health care. Ability to understand and bridge information technology and health care disciplines. What does a CHIO at the VA do? Although the job description is quite lengthy, there are two particular sections that clearly set the CHIO apart from the traditional agency CIO. Manage complex issues and oversee programs to identify trends in clinical practice, delivery models/environments, and their interrelation with electronic health records, bar code technology, emerging health technologies, health information exchange, and health information standards programs internal and external to VHA. Devise methods and tools to monitor, on an ongoing basis, trends in clinical practice and health informatics. Determine knowledge acquisition and management requirements and provide subject matter expertise in the design and application of automated methods and tools to enhance clinical practice, veterans’ use of health technology and health data exchange. Use clinical expertise and current knowledge of clinical aspects of health care delivery to evaluate the clinical significance and quality of information that is processed (captured, transmitted, and stored) by advanced technology systems. Evaluate outcomes of electronic health record utilization and health information exchange that impact changes in nursing/medical/clinical practice for various patient groups/populations. Shulkin may be on to something here. Imagine—asking a a health care professional with technology chops to guide technology strategy for improving health care for veterans. If the VA had done this years ago, it might not be facing the monumental technology challenges that continue to stand in the way of real progress.